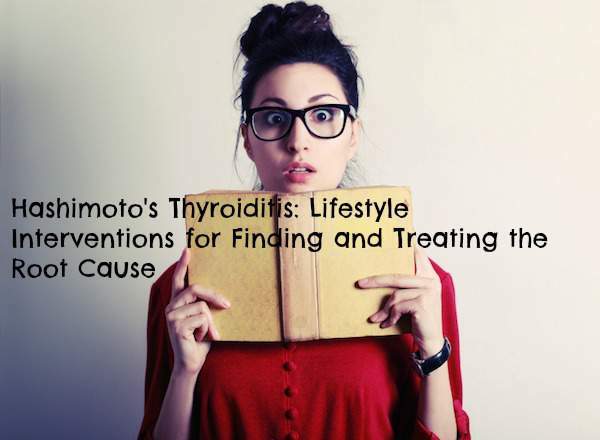 I am Izabella Wentz, pharmacist, Hashimoto’s patient and author of the book Hashimoto’s Thyroiditis: Lifestyle Interventions for Finding and Treating the Root Cause. I personally struggled with chronic fatigue for almost 8 years before I was finally diagnosed with Hashimoto’s. This fatigue kept me from pursuing my dreams and passions in my early twenties, but eventually I learned to compensate. I would sleep for 12 hours a night so that I could participate in my classes, study, work and enjoy a social life. Even after my diagnosis and receiving thyroid medications, it took me an additional three years, hours of sifting through medical journals, thousands of dollars in testing, supplements, doctor visits and plenty of trial and error to recover my life, my energy and my health. I hope that others don’t have to suffer as long as I did. The first step to proper treatment is diagnosis. TSH is used as a screening test for thyroid function, however it may not always catch thyroid abnormalities. TSH does not become permanently elevated until the Hashimoto’s is advanced. Thus, people may have a normal TSH for many years while experiencing the unpleasant thyroid symptoms. In recent years, The National Academy of Clinical Biochemists indicated that 95% of individuals without thyroid disease have TSH concentrations below 2.5 μIU/L, and a new normal reference range was defined by the American College of Clinical Endocrinologists to be between 0.3- 3.0 μIU/ml. In most cases of Hashimoto’s thyroiditis, blood tests will reveal one or two types of anti-thyroid antibodies. Thyroid peroxidase antibody (TPOAb) is the most common antibody present, and often antibodies against thyroglobulin (TGAb) are found as well. These antibodies may appear decades before a change in TSH is detected. With the enormously high rate of autoimmune thyroid disorders, I believe that thyroid antibody screening should be a routine test. Appropriate medication management is the next step. As a pharmacist I have first hand knowledge and understanding that every person is biochemically unique and will respond to medications differently. While many people do wonderfully on T4 medication, the fact is that some do not, and will benefit from a combination T4/T3 medication. The T4 hormone is essentially a pro-drug, meaning that it has to be converted to the more active T3 hormone to have physiological effect in the body. Some people do not convert the T4 properly, and may greatly benefit from combination medications. Pharmacogenomics is a new technology that has enabled us to predict and model the reactions of various people’s genes with medications. This technology has provided solid evidence that not everyone converts medications properly, metabolizes them properly or gets the same benefit or harm from medications. Thyroid patients have been telling their physicians for years that they are unwell despite their medications and TSH being “in range”, but while all clinicians are taught to treat the patient not the lab value, some seem to forget that adage and do not manage medications appropriately. Screening for Free T4 and Free T3 can uncover conversion issues. The third, and in my opinion, the most crucial step to feeling well is lifestyle management through figuring out and removing the triggers that perpetuate autoimmunity. Spreading awareness of the lifestyle changes that can impact autoimmunity is my personal mission. As a pharmacist, I have been trained about the pathophysiology of diseases, as well therapeutic treatments. My professors always stressed lifestyle interventions to reduce the need for medications and to prevent disease progression. People with hypertension were told to eat a low-sodium diet, people with high cholesterol were supposed to reduce their fat intake, and Type 2 diabetics could essentially reverse their condition by eating foods with low glycemic indexes and by losing weight. In mild cases of most chronic conditions, I was always taught to recommend lifestyle interventions first, followed by medication therapy if the interventions were unsuccessful, or if the patient was not willing to change. In advanced cases, and if the benefits of medications outweighed the risks, the patients would be started on medications in conjunction with lifestyle interventions. I also learned that patients should be monitored as they made progress toward their goals to see if medication therapy was still warranted. Thus, I was confused, as there were no mainstream lifestyle interventions for Hashimoto’s, or any autoimmune conditions, for that matter. The only intervention recommended by physicians, was a pharmacological one, to start taking a supplemental thyroid hormone. While medications are very important for restoring thyroid hormone levels, I didn’t feel that medication alone was the answer. After all, the supplemental hormone did not stop the destruction of the thyroid gland by thyroid antibodies. It simply added more hormone when the thyroid was too damaged to produce it on its own. It was like pouring water into a leaky bucket without plugging up the holes that were causing the leak. It seemed unnatural to me to do nothing as a part of my body was being destroyed. I am a firm believer in cause and effect, and it did not make sense to me that this disorder just happened out of nowhere. On top of it all, I had been suffering from severe digestive trouble many years. One can think that the world is unfair and ponder the many reasons for the lack of lifestyle interventions, but focusing on the problem never seems to yield a solution. But perhaps, I thought to myself, if I could make connections among all of my symptoms, then maybe I could find and treat the root cause of my condition, and hopefully my story will inspire others to do the same. Sometimes we have to be the change we want to happen, and hope that the medical establishment will take note and promote further research. Eliminating triggers, changing my lifestyle and managing my intestinal health has been my personal road to recovery from Hashimoto’s. Through lifestyle interventions like removing food sensitivities, changing diet, balancing the gut flora, treating infections, addressing nutrient depletions and removing triggers, many individuals, including myself, have been able to eliminate symptoms, reduce and even reverse autoimmunity. I hope that in a few years, any person who complains of fatigue is tested for autoimmune thyroid markers. People who have subclinical hypothyroidism and complain of fatigue, weight gain, hair loss and other thyroid symptoms deserve a trial of thyroid medications. Those that do not feel well on T4 only medications need to be give an opportunity to try combination T3 and T4 medications. Most importantly I hope that the medical community will soon understand the impact lifestyle choices have on autoimmunity. In the meantime, I encourage you all to take charge of your own health. Learn as much as you can about Hashimoto’s, about autoimmunity and demand better care.